Keep warm this winter at Delta Force! With the temperature creeping slowly towards zero as we head towards Christmas, the team at Delta Force are doing all we can to keep you warm at our paintball centres across the UK. For those taking a back seat and watching the action, we suggest you wrap up and bring a warm jacket, beanie and gloves. 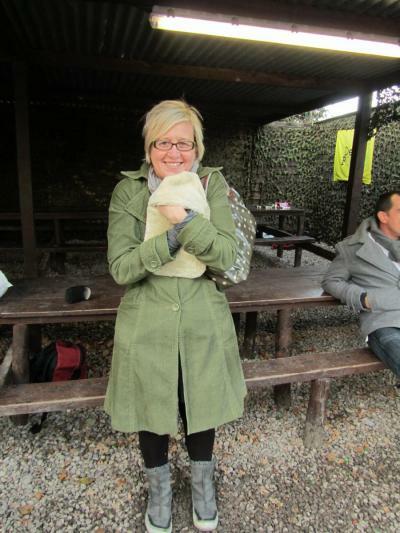 Delta Force now also supply hot water bottles at all 24 national paintball centres to those waiting for their soldiers to return from the action. With picnic benches, free tea and coffee refreshments and now hot water bottles, you can relax in comfort! To completely unwind once you’re all rugged up with a warm cup of tea, why not bring some magazines or a good book to while away the day. Hot water bottles are available now for spectators and those players who want to keep warm whilst waiting for their next game. They can be requested from our on-site shop throughout the day, although there are limited numbers available on site. For those eager paintball enthusiasts who battle through the cold and play in the heart of winter, we recommend you wear some warm and weather proof clothing to keep you snug once the adrenaline stops pumping! All our game zones are set in woodland locations and we go ahead with all events rain, hail or shine! We strongly recommend wearing sturdy boots with ankle support and deep tread/rubber soles as it can get slippery out in the woodlands, especially at this time of year. With all the preparations done, all you need to do is book your paintball day out! Call us now on 0844 477 5050 to book your next winter adventure!